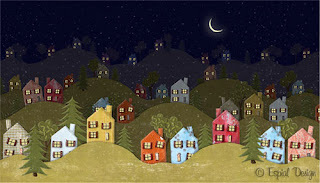 As I was creating this piece, I channeled the artist Charles Wysocki. We had a calendar of his art...I like his style with the miniature village life. Studio Friday: Dots or Stripes?